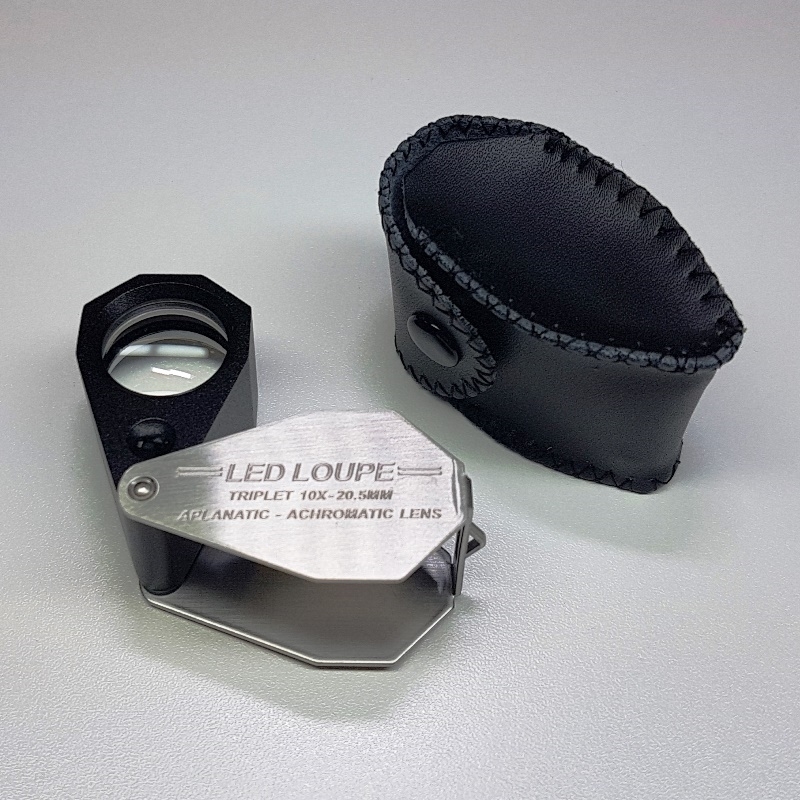 10X triplet loupe with LED light. 20.5mm aplanatic-achromatic lens. Ideal for inspecting diamonds, gemstones and watches.